Macroom Stoves is a family owned company with experience of over a decade in supplying and installing an extensive range of dry and boiler, Multi Fuel and Wood Burning Stoves. We are dedicated to providing the best customer service, in order to ensure customers select the right stove to meet their requirements, from purchase to the completion of the stove installation, so customers are provided with a product that becomes a magnificent focal point in their home. At Macroom Stoves we believe every stove installation is unique and our aim is to offer a personal service to every customer in order to meet their exact requirements. We are committed to adhering to all Building Regulation Requirements and Safety is our number one priority. We, at Macroom Stoves take pride in ensuring that all work is carried out perfectly and that each stove is safely installed as the heart of the home and is a statement piece within it. All our Fitters are Hetas Trained, Certified and Fully Insured. Our fitters are highly qualified in all aspects, with one fitter a Passive House Consultant and another one an Energy Assessment Consultant.Our Fitters are very experienced and provide expert knowledge in all aspects of Fire Safety, Stove Design and Installation. We believe in quality at Macroom Stoves and that’s why we have taken on the MORSØ brand. We believe that like Macroom Stoves, Morso is not just a product, its a Complete Package. 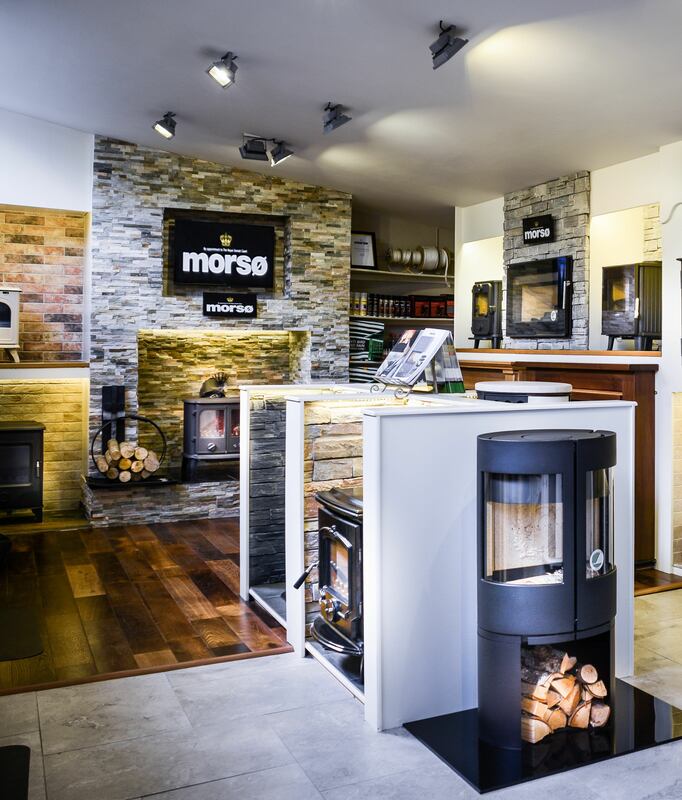 At Macroom Stoves, the combination of both our newly Designed Showrooms and our knowledgeable Sales Staff, we feel we could make Morsø our main brand and bring quality to our market like no other. Our Fitters are some of the best in Ireland and we look forward to a long relationship with a superior quality product like Morsø with it’s more than 160 years experience in Cast Iron products.